Something Cebo believes in is the power of pouring yourself into your work. Most people believe talent is the ultimate predictor of great work, but Cebo believes great work is the result of being completely present when you’re creating. One of the things that prevents most of us from putting ourselves into our work is that when you make something personal, you open yourself up to criticism. But Cebo doesn’t let that criticism stop him. That’s the problem many creatives have. They are afraid to expose themselves to criticism from the world, so they play it safe. And that’s what separates Cebo’s remarkable work and distinct style from most creators. He is willing to put everything into his work, even if it means opening himself up to vulnerability. If you want to make an impact with your work, you have to be willing to accept and embrace views from the outside world. One of the burdens of being an artist is knowing when one of our pieces is ready for the world. Sometimes we toil over it for days, and other times we try to get it out as quickly as possible. Cebo believes we shouldn’t be in such a hurry to release our work. We need to own it and chisel it until it’s ready. Our necessity to get things out quickly is especially true of people who work in the digital space. Cebo doesn’t believe in following today’s trends. He wants his work to stand the test of time. Even though much of his work lives on the web, Cebo doesn’t treat projects like one and dones. He doesn’t let other people dictate his work. He treats everything he does like a piece of art. That’s the way we should all consider approaching our work. 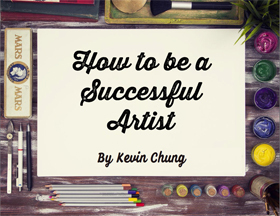 Whether you’re a writer, musician, or painter. You should treat each piece like a work of art you can be proud of. Often times we will settle for good enough. We work so long on a project that it starts to feel like a burden. We want to get it out of our hands so we can stop worrying about it. This mindset often holds us back from achieving greatness in our work. But if we want to create our best work, we need to trust ourselves and stop holding back. Always doing your best can be a challenge, but no one ever said being an artist would be easy. Anyone can create art, but very few people can create great art. Cebo doesn’t settle for good enough. He puts everything into his work. Even though he knows he might not be the best at everything, that doesn’t stop him from doing his best. That’s the attitude he wants everyone to pursue, not just with their art but in everything they do. Creative Director of Misfit Inc.
gave him a book to write in every day – poetry/writing/etc.